The Waldschaf ist a breed originating in the forested regions of South Germany, Bohemia and Austria. This breed is still very much in danger of extinction, even though there has been an increase in population during the last years. The breed goes back to the medieval sheep breed "Zaupelschaf". 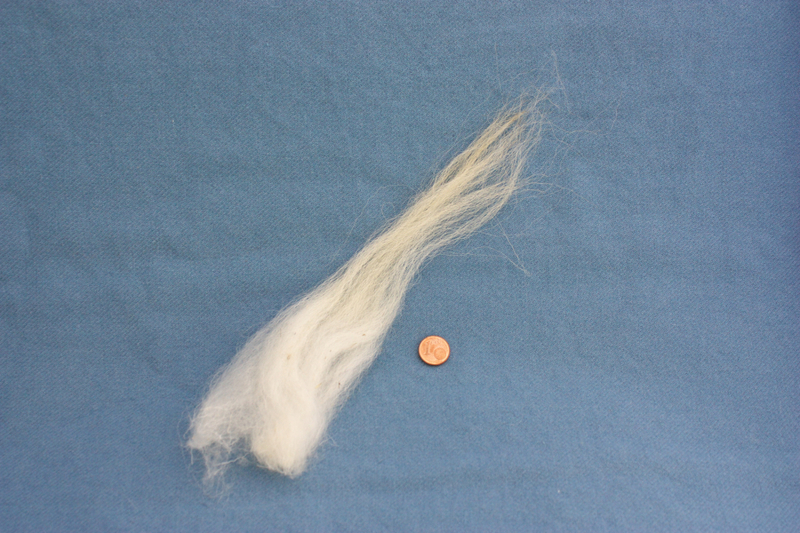 The wool I offer is from a small herd in the care of a heritage breed conservation club. The sheep are grazing outside and are used to keep vegetation in check. 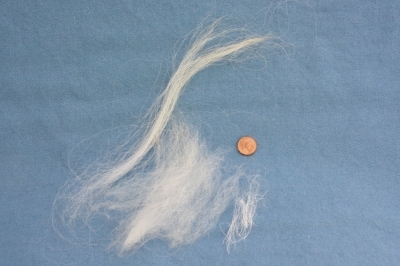 Waldschaf wool is a mixed wool, consisting of long and sturdy hairs, finer and slightly crimpy underwool, and finally short, wavy kemp hair. The wool has been washed and slightly fluffed, but still contains some lanolin and some bits of vegetable matter. The wool is sold in units of 100 g. For large amounts or special requests please contact me per email!